If you’ve been following my blog, you’ve heard this before…but….I MIGHT be switching acne products again. 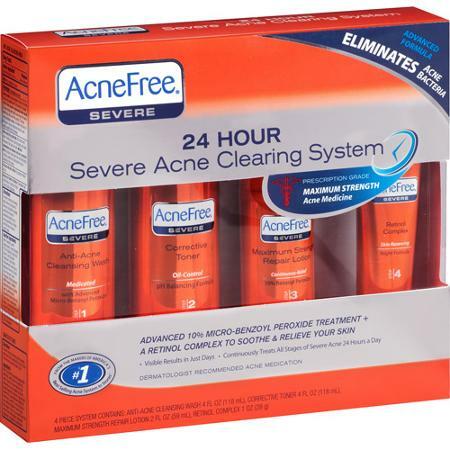 If you’ve been following along on all my acne posts, you will know that I did have a success with the AcneFree 24 Hour System. 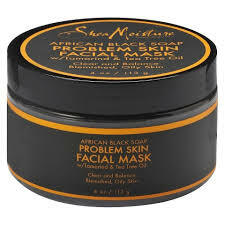 I even purchased the Severe Acne version of it because it had rave reviews and an extra step. Well, since my review of the regular system, I have noticed a few drawbacks. Like I said before, the system has left behind acne in just one spot. The severity of the medicine leaves my cheeks rather dry, tight, and hot. I started putting on aloe vera gel on my face to combat it, but this fix doesn’t last all day. My fiance noticed it started bleaching my face towels. At that point, I started thinking what am I putting on my face? Now, take those last two points and intensify them with the severe system…yeah. I was a little upset that this set didn’t come with the toner. But I found it on Amazon and it was decently priced, so I’ll be adding that to the routine soon. 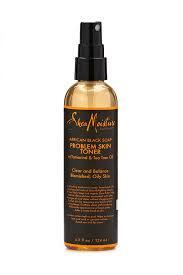 Toning your skin is very important because it maintains your PH levels. Hopefully, I’ll find the right formula soon. Thanks for sticking with me guys, it’s not over yet! Update on “The Depression Experiment:” I’ve been feeling a lot better lately. When I went to my night class last week, I discovered that I had an A in the class. Who knew? As for staying on top of my assignments, I completed a rough draft of a presentation and sent it to a professor to look over. I will be spending the next two weekends with my fiance, so I have something to look forward to. The only down side is that with his new job starting, we’ll have less time to spend together. 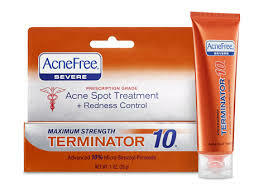 Now, as mentioned in a previous post, I’m going to mention something that has been helping with my acne. 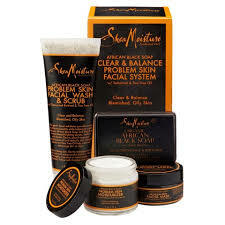 As you know, I have been switching to all natural products (with the exception of the few chemical products I am using up). Well, a few weeks ago, my fiance and I were shopping in Target. I insisted we go because when I looked in the mirror that morning I discovered that not only was my acne relentless, but my face was also dry and red. 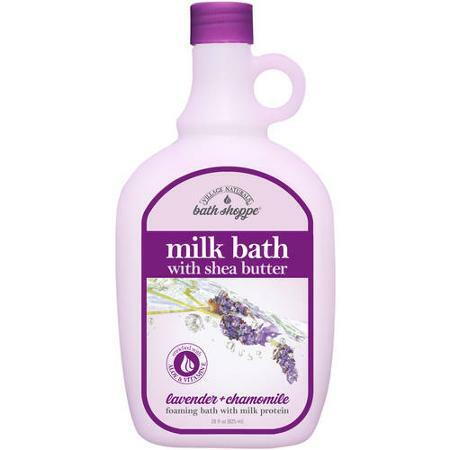 Target has its own aisle dedicated to natural hygiene products and it was there that he handed me a very large bottle of soap. I had heard about castile soap before and a lot of people raved about it on acne.org. But I had never thought to pick some up. I glanced down at the shelf where he found it and noticed that there were many different types of bottles. After breaking out our smartphones to look up the brand, I concluded that the most popular for acne was the tea tree and peppermint flavors. Even though tea tree had never helped my skin before, I grabbed it since I didn’t know how peppermint could help me. 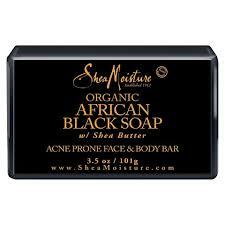 After using it for a week, my acne was the same and my face was drying out. So, I had him take me back to get the peppermint. In just a couple of days I noticed my acne was waning and my redness was clearing up. I was puzzled by this, so I looked up how peppermint helped with acne. I have PCOS which is a hormonal imbalance that is caused by an abundance of testosterone, which also causes my acne. It turns out that peppermint actually helps with testosterone levels. So, I’ve also taken to drinking peppermint tea. It is quite delicious. 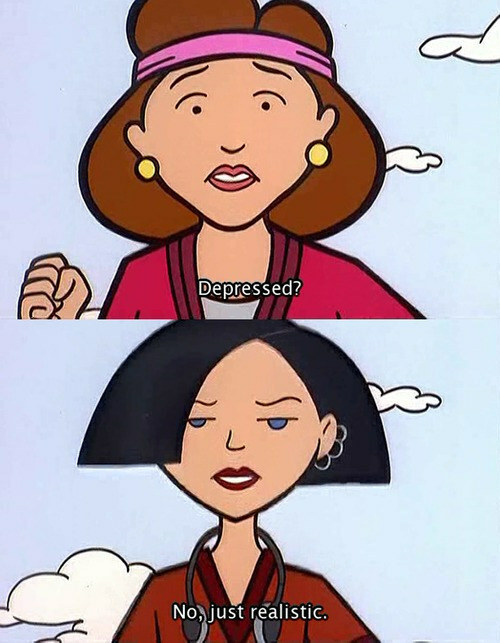 Now, let me assure you. I have not yet cleared my acne, As I type now, I have two large cystic pimples on my face. But my face is a lot less red and the smaller bits of acne don’t stand a chance. I am confident that this is a step in the right direction and I will find the right combination of products soon. 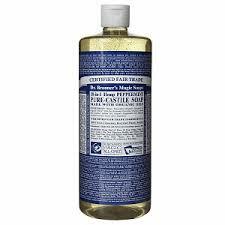 A note about Dr. Bronner’s Soap: If you plan to use this soap, a lot of people say that you have to dilute it because it is very strong. I find the peppermint doesn’t dry me out, so I don’t dilute it. But the tea tree did. All you need is three drops. 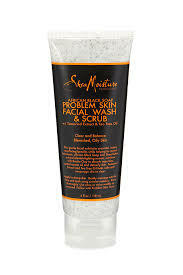 This stuff lathers really well and will last you a long time! If it dries you out, try diluting before you stop using it.